Mermaid Cove 1-2-3 Layout Guide! My colleagues at Creative Life Scrapbooking had such a fun time at the PJ Party Virtual Crop we held this past Friday evening! Six of us shared ideas using the fun and whimsical Mermaid Cove collection by Creative Memories, and had so much fun with all the ladies who joined in to comment and share layouts of their own! Since both the Mermaid Cove and Imagine That! collections came out at the same time and one is more girlish and one is more boyish, I thought it would be fun to do a guide featuring BOTH collections. It's cool to see how one layout can look so different just by switching out the papers & embellishments and changing the orientation of some of the photos etc. Really, it's like getting TWELVE layouts instead of six! So what's in the guide? 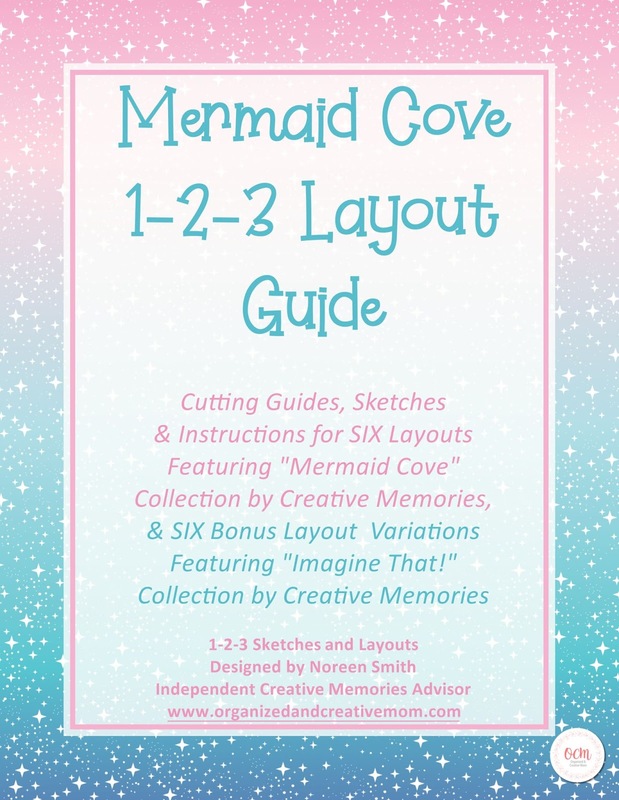 For each layout you'll find a 1-2-3 sketch, cutting guide, instructions & tips, two pattern variations and a photo of my two sample layouts - one done with Mermaid Cove and one done with Imagine That! 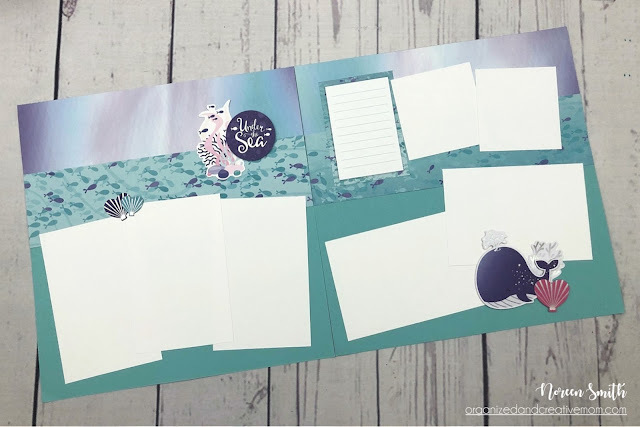 While the guide helps you to replicate the sample layouts exactly, the sketches and cutting guides can be used over and over again with ANY papers and embellishments. So versatile! * A note to my fellow CM Advisors - by purchasing a copy of this guide, the copyright allows you to share it with your customers! YES! 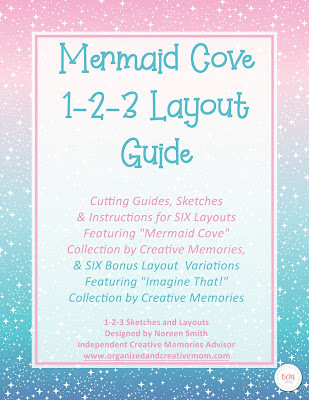 You can print out the guide and use it as an incentive or appreciation gift when a customer purchases one of the collections from you, or you can bundle it with the Mermaid Cove or Imagine That! products and do a class or workshop with it! Make it work for you! Please note however that you may not share the digital product...only physical printed copies. Thanks! Blend & Bloom - January 2019 1-2-3 Layout!